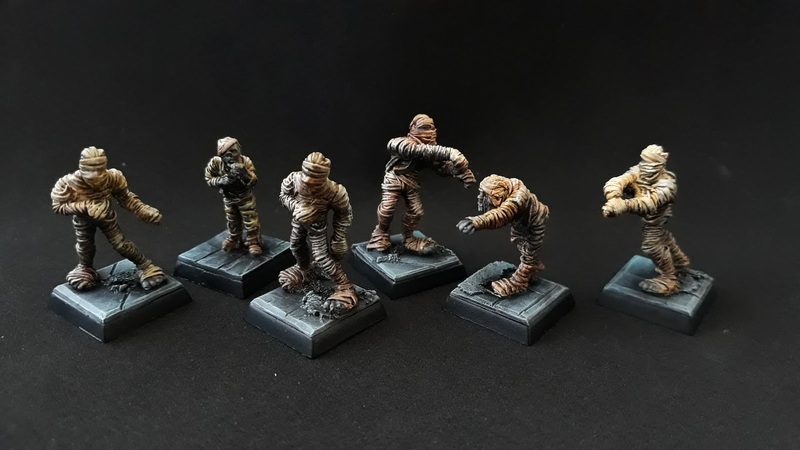 Six mummies for the quest tables. 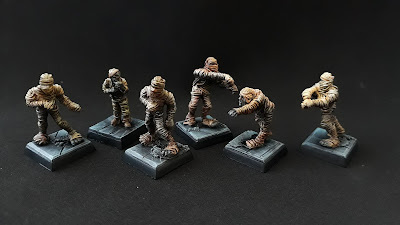 Love these sculpts and they were relatively easy to paint. 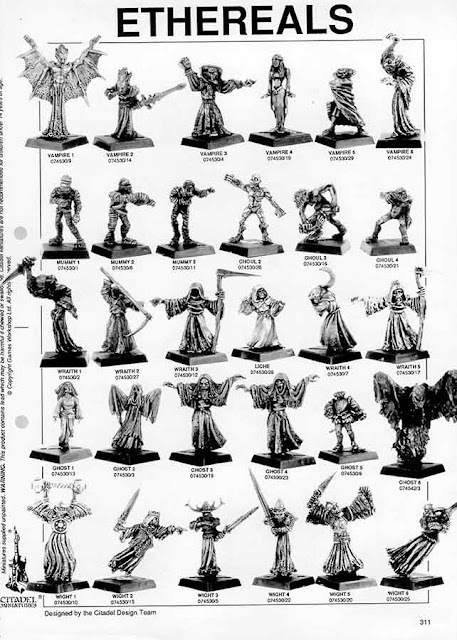 The first reference to these mummies I can find are in the 1991 Red catalogue 2, ethereal range.